While content marketing is in fact an amazing tool that you can use to get hundreds of thousands of monthly visitors to your website; not everyone that’s using it are getting real results. Whether you’ll succeed at growing your traffic or not, has a lot to do with how you’re running your content marketing campaign. Allow me to share with you the basic checklist that I use. If you’re looking to explode your website’s monthly traffic, then you have got to try these out. 1. Have I re-purposed my content and published them on different outlets? There are TONS of ways (or places) where you can re-purpose your content. After publishing your post, you can then start creating different versions of it like video presentations, slideshows, podcasts, and infographics (among others). When you re-purpose your epic content, you’ll get more mileage from it since other viewers will be able to see it through the different platforms where you will re-purpose them. 2. Do I have a clearly defined strategy on how to market my content? In most cases, when pro-marketers publish an epic content for the purpose of using it on their content marketing strategy, they publish several posts prior to that in order to help hype things up for the main post. They also run contests, send several email messages, and maybe even do interviews (among others). All this can only be accomplished if you have a clearly defined marketing strategy. Besides, when you have a marketing plan in place, you are able to mitigate risks, since you can somehow see in a broader scale whether the various marketing strategies you will employ will mash up or not. 3. Have a clear target audience. Before you even start writing your content, you need to have a clear idea on who your target audience is. The more specific your audience is, the better. For example, instead of targeting “mothers”, you’ll have better results if you’ll target something more specific like, “mothers who just gave birth, and are looking to lose their weight through crossfit”. The thing is, the more specific your target audience is, the more specific you can craft your content. Thus, making it is easier for you to establish a connection with them. 4. Do I have a clear call-to-action on the content I am promoting? One of the best places to add a CTA is on your page’s sidebar. Asking your readers to sign up, get a free quote, or to try out your services is a good CTA that you can use. What this company did on their sidebar is a good example. Not only did they add a clear CTA, but they also took it a step further by adding a catchy heading by asking their readers a question. Important tip – using questions on your headers is a good way to attract people’s attention. 5. Does my content answer the questions that my target audience are asking about? At the end of the day, it is all about whether or not your content has value. No matter how lengthy your content is, or how flashy your marketing efforts are, if your content doesn’t provide any kind of value to your audience, your marketing results will end up in the gutters. If you want to make sure that your audience will find your content valuable, then all you need to do is to answer as many of your audience’s questions as you can. A good strategy is to put yourself in their shoes, then list down the questions that you think they’re going to ask. The more questions you list down (and answer), the more value packed your content becomes. 6. Do I have a call-to-action at the end of my content? Most marketers who are worth their salt are aware of how true the statement above is. That is why most of them take the time to add a clear call-to-action at the end of their content asking their readers to share, sign-up, or comment (among others). On the flip side, newbie marketers think that blatantly asking their readers to share or to do some sort of action is shameful. Do yourself a favor and be sure to add a clear call-to-action within your every post, OK? 7. Do I have sign-up forms so I can capture my readers’ email addresses? Capturing your reader’s email address isn’t just a good idea, it is common sense. There is a reason why the statement, “The money is on the list” is overused; and that’s because it is flat-out true. When you have your reader’s email address, you can easily turn them into recurring visitors by sending them emails which are highly relevant to their needs. Of course, your email message should contain a link that goes directly to your website so they can consume the content there. 8. Does my content have subheadings? The way people consume content online varies. There are readers, scanners, and there are those who are bottom-line viewers. Kathryn A. from CrazyEgg published something really detailed about it. Why am I telling you this? That’s because if you want your content marketing campaigns to succeed in getting you TONS of traffic, you need to understand the psychology behind how people consume content. If you’ll give Kathryn’s post a quick gander, one of the things you’ll realize is how important using subheadings in a post is. Not only does it make your content scannable, but it can also help you with your SEO, and making your content easier to digest. 9. Have I shared my content several times? Because your target audience browse the web on different times, it makes perfect sense for you to share your content several times as well, right? The short answer is… NO! Several marketers took the time to study what kind of reaction they’ll elicit from their audience; and the good news is, they got zero complaints! In the rare occasions where they did get complaints, they can easily justify why they are sharing their content several times and their audience would be satisfied with their explanation. Important tip – a good practices that a lot of marketers do when sharing the same content is that they use different captions on their social updates, while sharing the same link. 10. Have I asked others to share my content? There are several ways you can go about asking others to share your content. It isn’t as complicated as others would have you think. You can either contact them via the different social media platforms, through commenting on their blogs, sending them emails, or you can even do ask others to share through forums. Personally, I like contacting them via email and their social media accounts since it usually gets me better results. Also, contact as many people as you can (preferably influencers). You will realize that a lot of the people whom you’ll message will ignore you, or just blatantly refuse to help you. True. 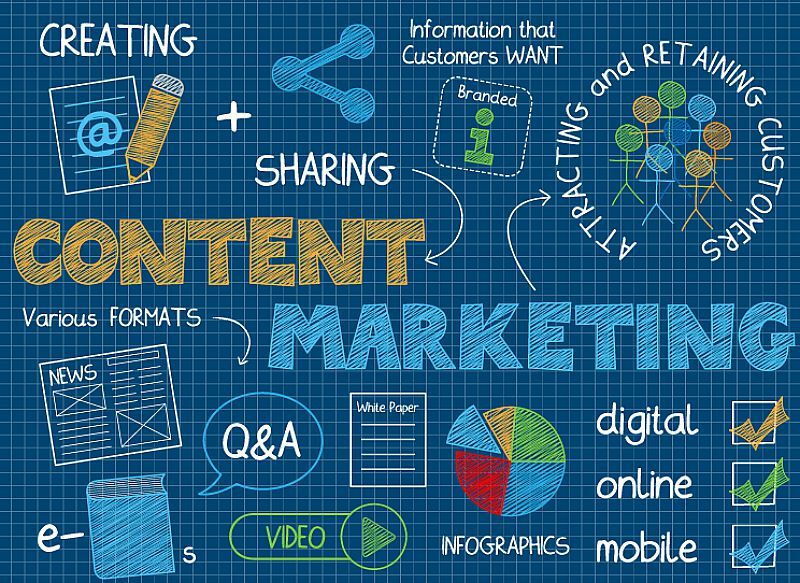 Content marketing is one of the best online marketing methods that you can ever use to grow your monthly traffic. However, depending on how you use it, you might still get very little to no results at all. While the checklist I shared above is far from being complete, I assure you that you will see a significant boost in your monthly traffic if you’ll take the time to use them. Have you been getting great results from content marketing? What are some of the tips that you can share which you think would help others get massive traffic through this marketing method?